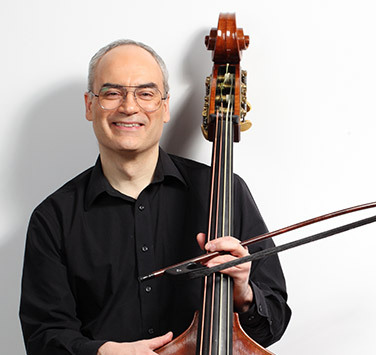 Max Kasper has been Principal Bass of Symphony Nova Scotia since 1986. He’s gained quite a following over the years for the public education concerts and lectures he organizes and hosts at Halifax Public Libraries. He has acted as MC for many events in the community, and was one of the hosts for the Symphony’s Musically Speaking concerts. Of course, his first passion is the double bass, which he began playing in the Toronto public school system at the age of ten. Pursuing a second career as a bow maker, Max has the unique distinction of playing on a bass and bows he has made himself. He lives in Halifax with his love, Esther Ricketts, and their cat, Finnegan. Musician Representative on the Board.